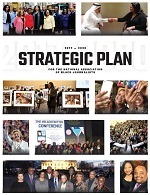 Featured faculty include USA TODAY Network’s Mizell Stewart III, TV ONE’s Roland S. Martin, NBC’s Rashida Jones, Tribune Publishing’s Anne Vasquez and ESPN’s Rob King. 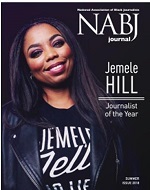 ST. PETERSBURG, Fla. (July 18, 2018) – The Poynter Institute, a global leader in journalism, is once again partnering with the National Association of Black Journalists (NABJ) to host the Leadership Academy for Diversity in Digital Media, occurring this year Dec. 2-7. Applications for the weeklong, transformative program are now open. Despite making up 41 percent of the overall population in the United States, people of color only constitute 16.5 percent of the workforce in online-only and daily print news organizations, according to the 2017 American Society of News Editors (ASNE) diversity survey. Only 25.5 percent of newsrooms have at least one minority in a top-three leadership position. Mizell Stewart III, senior director of talent, partnerships and news strategy at the USA TODAY Network, will return to lead Poynter’s 2018 program, bringing with him all-star faculty and fresh sessions. Accepted applicants will learn about managing new technologies, get feedback on challenges such as how to get your ideas heard by senior leaders and build skills for transitioning to corporate leadership. Participants will also benefit from one-on-one coaching in a program past attendees have described as "life-changing." · Richard J. Dyer, President and General Manager, WUSA-TV, Washington, D.C.
· Roland S. Martin, Managing Editor, TV ONE; Host, Roland Martin Unfiltered; Senior Analyst, "The Tom Joyner Morning Show"
Apply now for the 2018 Leadership Academy for Diversity in Digital Media. All Poynter leadership programs are structured to encourage open, candid discussion and mentoring. Each participant will receive one-on-one coaching, seek and analyze 360 feedback and create a personal leadership strategy. Participants will walk away with not only strong leadership skills, but a built-in support system for the future. The Poynter-NABJ leadership diversity program is not limited to African-American journalists. We strongly encourage journalists of all ethnic and racial backgrounds to apply. Up to 25 participants will be selected. Because of the small size of the class, the selection committee will give preference to emerging leaders currently working in digital media who can demonstrate an aptitude and potential for leadership through current projects and references. The application deadline is Aug. 17. Accepted applicants will be announced in September. The Poynter Institute for Media Studies is a global leader in journalism education and a strategy center that stands for uncompromising excellence in journalism, media and 21st-century public discourse. Poynter faculty teach seminars and workshops at the Institute in St. Petersburg, Florida, and at conferences and organizational sites around the world. Its e-learning division, News University, newsu.org, offers the world’s largest online journalism curriculum in seven languages, with more than 400 interactive courses and 330,000 registered users in more than 200 countries. The Institute’s website, poynter.org, produces 24-hour coverage of news about media, ethics, technology, the business of news and the trends that currently define and redefine journalism news reporting. The world’s top journalists and media innovators come to Poynter to learn and teach new generations of reporters, storytellers, media inventors, designers, visual journalists, documentarians and broadcast producers, and to build public awareness about journalism, media, the First Amendment and protected discourse that serves democracy and the public good.